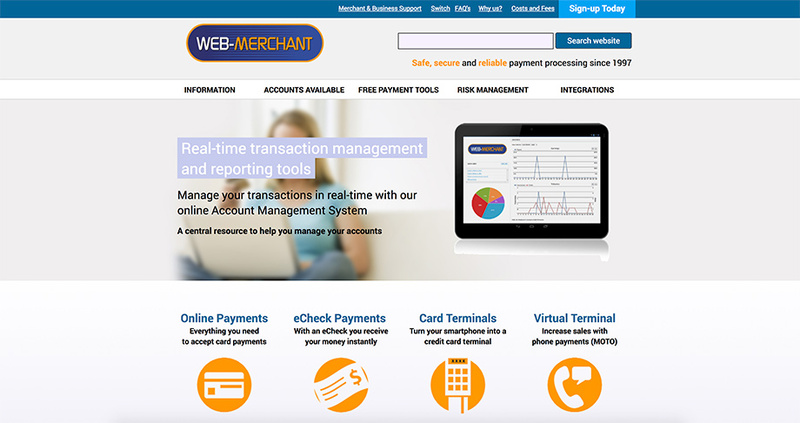 Choosing a merchant account or payment processor is no easy task, especially if odds are against you. Being deemed a high-risk business can be rather daunting and discouraging and you might think there is a very long and winding road ahead. 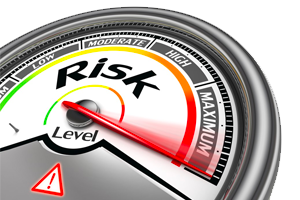 Hence the question – when do you need a high risk merchant account? Generally speaking the industry you work in comes with predefined understandings and considerations based on market research and customer behaviour. If your industry is characterised by high velocity sales, large number of chargebacks and frauds then it’s not much you can do to shift the tide in your favour. However, your business is also underwritten based on your personal credit rating, your financial statements, whether you filed for bankruptcy in the past and even your skills as an entrepreneur. Luckily, many merchant acquirers have a different set of criteria for rating your business high-risk. If you navigate wisely the rough waves of payment processing you might see a paradise land ahead of you – such as tax-haven Cayman Islands. First off you should know that startups, online businesses and card-not-present transactions are classified as high-risk due to their volatile parameters and uncertainty which result in numerous chargebacks, frauds, bankruptcy or closure. In order to increase your chances of escaping the status of a high-risk business or simply lower your transaction and monthly fees there are some efficacious measures you can take. Read on to find out more! What are the trade-offs with a high-risk/offshore merchant account? Falling into the high-risk business category is very commonplace since a plethora of new and digital industries are classified as such. It is important to have a minimum of 1 year of satisfactory credit rating or successful business operation before you might be able to move from a high-risk merchant account to a standard payment processor. However, businesses such as adult entertainment or online pharmacies will always be considered high-risk regardless of any other criteria. The geographical location has a great impact on your merchant account – developed countries such as Japan, the UK, the USA, Singapore or South Korea present less risks. Even if you sell exclusively online, having a physical location with an office, equipment and personnel will work tremendously to your advantage since this will bring more non-liquid assets and credibility to your business. On the other hand, even if your physical business is located in the UK but the majority of your online sales comes from Africa you are very likely to be considered high-risk. While you may not have much control over the industry your business operates in, there are two main goals you must chase at all times – building up good credit rating and lowering/minimising the number of chargebacks. Friendly fraud (honest mistake) and chargeback fraud (cyber shoplifting) account to 71% of chargebacks losses which fortunately are recoverable after disputes. However, any chargeback (recoverable or not) is a nasty stain on your reputation. Find out what measures you can put in place to avoid or reduce such burdens. Expect to pay as much as 10%-12% per transaction and 50% more for monthly fees with a high-risk merchant account compared to a standard one. Before deciding whether to go with a domestic high-risk merchant acquirer or offshore merchant account, consider what type of support (technical, customer service) you need and the nature of your products/services. Do not skimp on quality – It’s better to “suffer” for a year, build up your reputation and credit rating, manage your chargebacks efficiently and demand more competitive rates at contract renewal or switch providers than going with the cheapest option from the get-go. All aspects considered, it’s no surprise that the costs for a high-risk business are steeper and merchant-friendly plans such as interchange-plus pricing are normally off the table. Don’t sulk at rates of 4.5%, 7.5%, 10% or even 12% if down deep in your heart you know this is the only option. Tighten your belt for a year or so and if all things go well, you can switch providers or change the status of your business later. What’s the difference between a domestic high-risk merchant account and an offshore merchant account? Well… in theory they provide similar services for high-risk businesses but due to geographical location and hence different regulations, these entities operate on slightly different levels. Local or national merchant acquirers can withhold funds from your account, block/close your account, ruin your credit rating and even sue you for damages – it’s basically much easier for them to track you down and make your life a living nightmare if you try any non licet actions. Offshore merchant account providers can only withhold future funds and seize your account in case you disappear or sell questionable products/services. In terms or risk levels, the offshore merchant account providers normally are the sole option for businesses selling internationally grey-area products such as tobacco or pharmaceuticals. Let’s take a closer look at a mixture of domestic high-risk and offshore merchant account providers! We’ve selected a few reputable companies with an (almost) impeccable track record in handling high-risk businesses. An US-headquartered company providing high-risk and offshore merchant accounts, Instabill have offices all over the world (the closest one in Malta) and provide their services worldwide to thousands of high-risk businesses. Apart from enterprises selling diamonds, gold, precious stones, cigarettes, weapons, counterfeit products, illegal drugs and non-profits ,Instabill underwrites pretty much any other industry. Another US-headquartered provider specialising in high-risk and offshore/international merchant accounts, Durango offer exceptional services and not just as a high-risk payment processor. 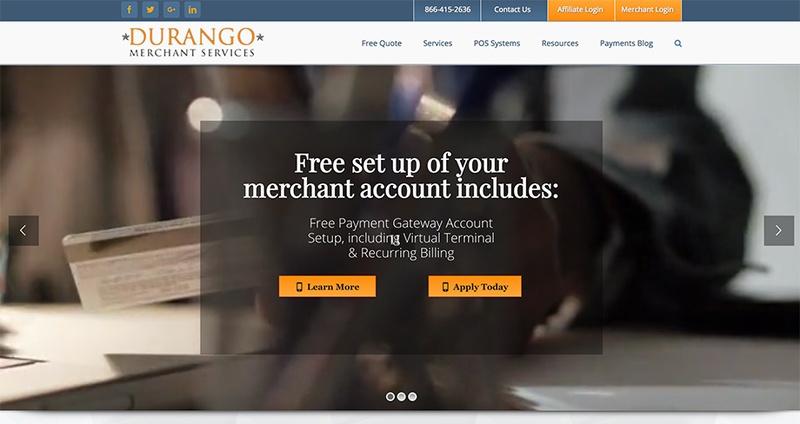 While they do welcome low-risk merchants as well, it is crystal clear that Durango are a well-oiled high-risk merchant account provider with decades of experience under their belt. They specialise in nutraceuticals, travel, multi-currency, high-ticket, bad credit, e-cigarettes, credit repair and a few other industries with dedicated accounts for each section. 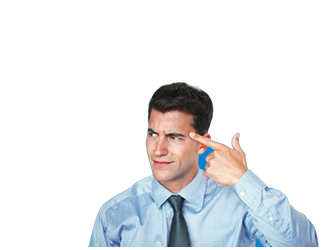 Not all high-risk or offshore merchant account providers take advantage of your despair and rip you off in every way possible. Look out for signs that tell you more about the provider’s credibility, reliability and progressiveness – the feel and general layout of their website should speak volumes (stay away from websites that look like they were created before the iPhone was invented). A few other more traditional merchant acquirers like Worldpay or First Data juggle around with some high-risk sectors and businesses too but they do not specialise in these types of accounts and the rejection rates are higher. It is important to know that although online payment processors from the likes of PayPal and Square could prove to be a viable solution for your startup company, they are not quite the safest solution for high-risk businesses. Why? Because as an aggregator, these processors split the risks of chargebacks among all their customers so you can set up straight away but they may freeze funds at any time upon signing up with them. If for instance you run an online pharmaceutical startup, these aggregators are not the solution you are after since you may find yourself in a pesky situation trying to recover your frozen funds. So, throughout this article we focus primarily on merchant account providers specialising in industries with high risks for chargebacks and frauds. They have more lenient and ecommerce-friendly policies for SMEs but they still underwrite your business professionally – if a provider attempts to lure you in with the promise of “instant signup” stay away as they might not be so genuine. Great, now what should you expect next? The way you present your business and yourself as an entrepreneur will speak volumes in your application. But you need to know what high-risk merchant account providers look into when assessing your business. Secondly – it’s all about you! Namely you as an entrepreneur. Beyond the regular credit rating, financial statements and bankruptcy checks, a provider also analises the longevity and viability of your business. For instance, if you’re already running a successful high-risk company and wish to apply for a second merchant account for a self-ownership affiliate or standalone company your chances of being approved and offered competitive rates are significantly increased. You might even be deemed moderately high-risk and get rates as attractive as 2.95% per transaction. However, be mindful that “successful” can have tricky connotations – large numbers of of high velocity sales can scare many merchant account providers away. Last but not least – a series of security checks and protocols, marketing and sales strategies. The irony here is that under certain circumstances some entrepreneurs may prefer a high-risk merchant account since they can sell fast, in large ticket sizes and deliver their products all over the world. Likewise, high-risk merchant accounts are not really oddities and abnormal solutions on the market – currently many traditional merchant acquirers have started opening their doors to online and startup businesses. Be confident in your company, shop around and negotiate firmly with your provider! Tip! Not all high-risk businesses are treated equally or rated the same! An online startup selling health and beauty products mainly in the UK or EU has much better chances of being deemed moderately high-risk and get more competitive rates than a well-established enterprise selling alcohol or tobacco in Africa. Before proceeding any further let’s dig a little bit into the liability shift – It used to be not long ago that credit card issuers were liable for frauds committed with a customer’s card or account regardless of circumstances. With the introduction of EMV technology (for card-present transactions) and 3D Secure (for card-not-present transactions) now credit card issuers can pass some of this liability on to the merchant or merchant acquirer, which means your merchant account provider might be responsible for chargebacks. In order to lower the chances of being slammed with rates of 10% +/ transaction you may want to introduce 3D Secure protocol even if your merchant account provider does not offer it. Any additional security measures such as SSL certificates will considerably improve your chances of being offered better rates and with a little bit of luck maybe even interchange-plus pricing. Unfortunately 3D Secure does not work with MOTO payments (virtual terminal) or recurring billing (subscriptions) since the passphrase needs to be introduced manually by the customer. What else can you do to minimise chargebacks and frauds? Product or satisfaction guarantees, strong return policies (30-day return), clearly advertised terms and conditions, full refunds and a prompt 7-day support via phone and email can significantly reduce the chances of customers asking their bank for a chargeback. Remember! One way or another your customers will get their money back and it’s much safer to offer refunds than dispute a transaction. Understand the difference between friendly fraud (accidental) when your customer simply does not remember to have purchased your products/items and cyber shoplifting (deliberate) when customers pretend the purchase was illicit or products were not as advertised. In this case, 3D Secure together with transparent advertising may decrease the probability of chargebacks or at least weigh the dispute in your favour. Understand the relation between chargeback fraud and geographical location – In the UK or the USA the average annual rate for chargeback frauds in 2016 was 0.51% and 0.47% respectively, whereas in Brazil a staggering rate of 3.55% plagued online merchants. If you sell internationally try to stick to safer regions; and why not provide your merchant acquirer with the chargeback fraud rates in the country you wish to sell? Automate customer communications for delivery confirmation, delivery tracking, product receipt confirmation and product quality survey – Sure, you can personalise the emails to each customer but remember to always keep in touch and follow up after the product has been received. Use a recognizable descriptor – If you’ve named your company “Jenkin’s Shoes & Socks” (brand) but on the checkout page your customer pays to “Martina Johansson LLP” (legal name) there are 50% chances your customer will be confused. Should they not bother to investigate they will simply request a chargeback. 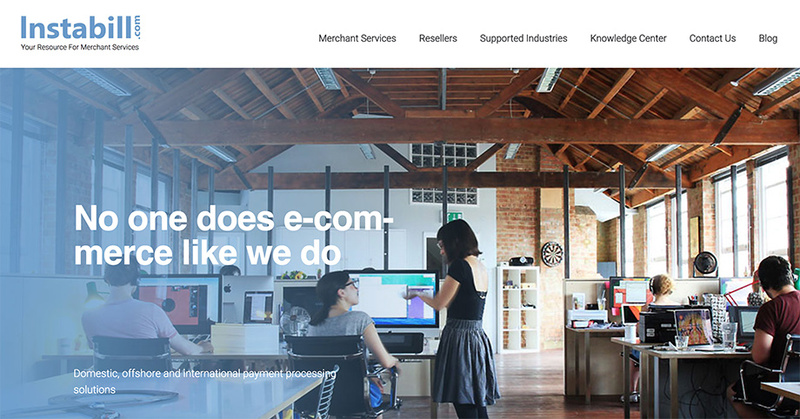 Most payment gateway providers allow merchants to personalise their checkout page – ensure your brand matches your company’s legal name to roll out any potential confusion. Within 24 hours the underwriting department assesses your application upon which an account manager contacts you with their decision or to request more information. In theory, the whole process is rather simple and straight-to-the-point – but it’s important for you to go with a merchant account provider specialising in your industry to streamline and expedite the setup. If you’ve tried out all your options and you have finally signed up with a high-risk/offshore merchant account provider, it’s time to know more about where you actually lose in terms of benefits. Apart from the higher transaction rates and monthly fees that we’ve previously discussed, these types of accounts are wrapped in other pesky packages that you cannot really avoid. Longer settlement periods – payouts can take anywhere from 1 to 2 weeks to reach your account. Higher transaction fees up to 12%. However, many merchant account providers are happy to reassess the transaction costs after the sales volume has been established and averaged. Don’t stop the negotiation process after signing up! Higher reserve/rolling deposit – This is normally part of an offshore merchant account since providers take a very high risk with international merchants. There are various schemes for a rolling deposit but the main idea is that the acquirer retains 10% to 15% of your turnover which is normally released back to you after a certain period of time (every 3, 6 or 9 months depending on the contract). Negative reputation – If you customers find out that you are using an offshore merchant account they might question your reputation and the products/services you sell. Likewise, banks and local authorities might monitor your business more strictly. Fortunately nowadays the stigma of offshore solutions is growing feeble and more merchants are open to them. Many merchants are not aware that their business is high-risk until they actually find themselves desperately looking for a solution to accept credit card payments. Rejections are never easy to take but you must shop around and give yourself enough time to find the most suitable solution for your particular enterprise. Don’t fall into a sales rep’s trap and don’t let yourself lured in by too-good-to-be-true promises. Regard your high-risk status as a temporary aspect and do your best to improve your chances of signing up with a standard merchant account later on.